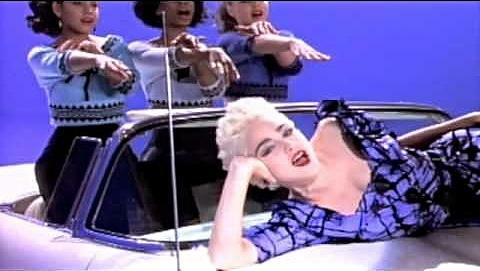 Firstly, apologies for the sound quality of the video not being perfect, but this is the official video for True Blue! 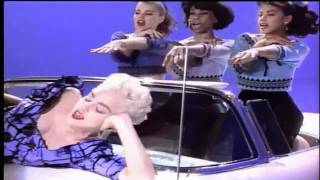 The Motown-style song was released as the third single from Madonna's third album, and was also the title track. It topped the UK and Canadian charts, and also reached No.3 in America, and was written and produced by Madonna and Stephen Bray. The single entered the UK singles chart at No.3 in 28th September 1986, reaching No.1 the following week on 5th October. The single fell back to No.2 for two weeks - Nick Berry claimed the No.1 spot with the atrocious "Every Loser Wins". Although it is mainly created using synths, the track features a nice rhythm guitar if you listen closely. I do remember the track receiving quite mixed reviews, but there was plenty of positive criticism, too. 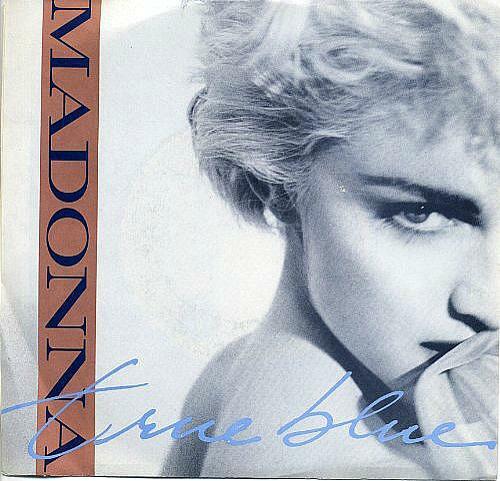 True Blue was one of two Madonna albums that I bought in the 80s. It featured a collection of solid, catchy pop songs with quite different musical styles. All five singles from the album reached the Top five in both America and Britain. The other singles were; Live To Tell, Papa Don't Preach, Open Your Heart and my favourite track La Isla Bonita. This was an era when pop music was at its best, with good old-fashioned solid song-writing, and the Top 40 being full of strong tunes, rather than the crotch-grabbing, "shouty" nonsense you hear in the charts today. Okay, maybe I'm getting old and sounding like my parents, but I'm still very glad that I was young when I was - the 80s were awesome! The B-side of the 7" vinyl featured the track "Ain't No Big Deal"